That’s the next best thing for wingsuit daredevil Brian Drake, who thinks it’s no big deal to fly mere inches above the ground as he winds its way through the seriously steep Ensa Couloir, situated at the famed Chamonix ski resort in southeastern France. The Ensa Couloir (French for “corridor”) is on the north side of Mont Blanc, a mountain that’s 15,781 feet above sea level and 15,404 feet above the Chamonix Valley below. That extraordinary height above the average terrain makes it the world’s 11th-tallest mountain in topographic prominence. On his way down, Drake soars so close to the ground that those jagged rocks are just about to give him a close shave. 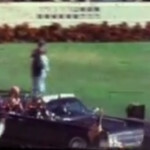 You’re seeing just one segment of his epic adventure, where he streaks past a quartet of cameras capturing the intense drama. In this part of the flight, he’s flying perilously close to a gully, but farther down the mountain he’s high enough off the ground to open his parachute and float safely back to terra firma. 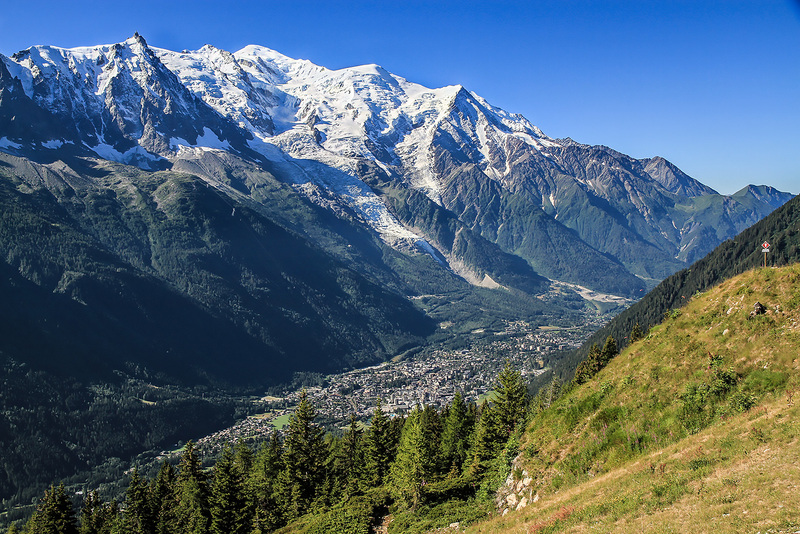 What’s hard to discern by looking at this video is that Mont Blanc is unusually steep. Much of this route has a 45° to 50° incline, making it appear that he’s flying like Superman, when he’s actually more vertical than horizontal. The wingsuit and the speed at which he’s flying gives him just enough lift to race along the ground like a hawk diving toward a baby rabbit. But that doesn’t make it any less frightening. It’s positively breathtaking. Watching this video triggered my fight-or-flight instinct. It actually made my palms sweat. 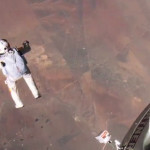 Not all of these base-jumping wingsuit flyers make it through these insane jumps, you know. Thankfully, this one did. 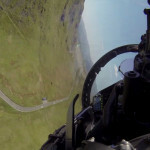 This entry was posted in Coolness, Inexplicable Peculiarities and tagged Skydiving, Video, Wingsuit by Charlie White. Bookmark the permalink.